To help boost the amount of users making purchases through Samsung Pay, Samsung is reportedly working on an extension to the existing Samsung Pay platform that will be available to both Android and iOS devices, as well as online for desktop users. 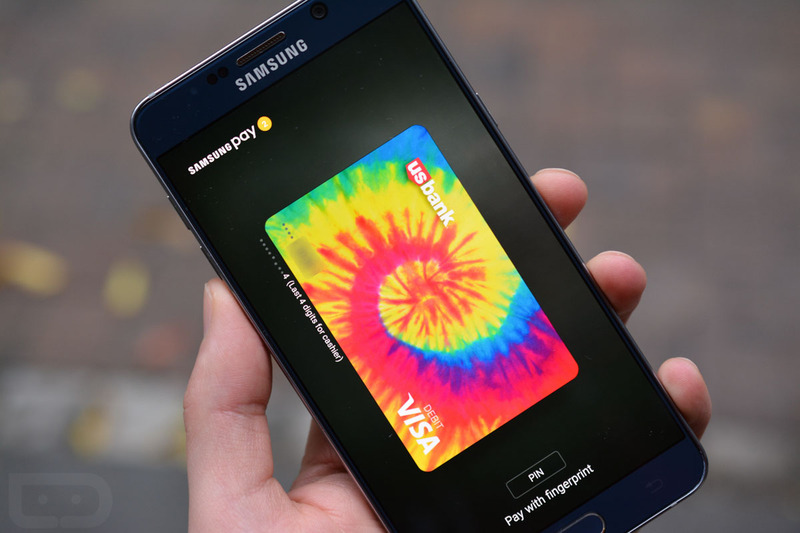 According to industry insiders, this Samsung Pay extension could launch as early as June. To recap Samsung Pay as a whole, it is a bit different from what is offered by Google (Android Pay) and Apple (Apple Pay). As of right now, only select Galaxy device owners can use Samsung Pay in stores, and it is also limited to whichever banks support it. The list of supported banks is growing, but there are still plenty that do not. If you do have a supported bank and smartphone, users can upload banking and credit card info into Samsung Pay, then pay for goods at almost any retailer in the US, as long as there is a MS-powered credit card terminal. Samsung Pay does not entirely run off of NFC (Android Pay and Apple Pay do), so it allows users to benefit from the service in more places. More importantly, both Apple Pay and Android Pay heavily support online payments through 3rd-party applications. This is the area where Samsung is playing catch up and this reported extension is Samsung’s investment into that online payments realm. Think of this possible extension as a counter to PayPal online. When checking out inside of an online store, or even through a mobile app, many retailers grant the option to use PayPal for hassle-free payments. Your banking and credit card info is already stored on PayPal, which makes the payment experience much quicker. This same experience is what Samsung is reportedly going for. By offering Samsung Pay more broadly online, as well as to virtually all Android users and iPhone owners, the company can grow the amount of users exponentially. Details regarding partners and concrete launch timeframe are unknown, but it seems that Samsung wants to launch as quickly as possible. Of course, nothing has been made official by the company yet. If you are a current Samsung Pay user, could you see yourself using Samsung Pay for more online desktop purchases?